PORTAGE PARK — The story of Kathy Labedzki-Pierga and her family is one that would be familiar to Chicago immigrants stretching back more than a hundred years. Labedzki-Pierga, whose parents were born in Warsaw, grew up near St. Hyacinth Basilica in Avondale, a hub of the Polish-American community. But as soon as they could, Labedzki-Pierga's family moved to Portage Park in search of a safe neighborhood with good schools. "As you create wealth, you want something a little bit better, somewhere you can put your feet up," Labedzki-Pierga said. Heather Cherone talks about the dramatic declines in Polish population in traditional enclaves. But when it was time for Labedzki-Pierga to buy a home of her own, she and her husband didn't consider staying on the Far Northwest Side. Instead they moved to suburban Palatine in 2002. "Schools were our No. 1 priority," Labedzki-Pierga said. Portage Park, the community area that's home to the city's largest number of Polish residents, has lost about 41 percent of that population since 2000, according to U.S. Census data. The shift was even more pronounced in neighboring Belmont Cragin, where the Polish population dropped 55 percent, according to the data. In Dunning and Edison Park, the Polish population dropped 20 percent in each community area, according to the data. The story is much the same in Jefferson Park, where the Polish population dropped 17 percent, and in Norwood Park and Forest Glen, where it declined 14 percent, according to U.S. Census data. "Most of my generation moved to the suburbs," Labedzki-Pierga said. "The Polish people who are still in the city are of my mom's generation or they are millennials, and they want to rent an apartment Downtown." Dan Pogorzelski, who is the co-author of "Images of America: Avondale and Chicago's Polish Village," said the history of Polish people in Chicago is a constant push to move to greener pastures. "On every block of the Far Northwest Side, there used to be at least two families led by a city worker — one Italian and one Polish," Pogorzelski said. "That's still true, but now those families are Hispanic." Columbia College professor Dominic Pacyga, the author of six books about Chicago's history, said the suburbanization of Chicago's Polish population has been going on for some time. "They are following the same route out of the city as many white ethnic groups did," Pacyga said, adding that for many Polish Chicagoans, buying a house in the suburbs signals "making it" in a way that having a city address does not. Another factor in the steep drop in the Polish population was the Great Recession in 2008, which prompted some Polish Americans to return to Poland and take advantage of the ability to travel and work in any member state of the European Union, Pacyga said. When the 20th century began, Chicago was the center of Polish culture and political activism in America, with the oft-repeated saying — although perhaps not entirely true, as WBEZ reported — that there were more Poles living in Chicago than anywhere else than Warsaw, the capital city. And with that strength in numbers, came significant political power and clout, as personified by U.S. Rep Dan Rostenkowski, who became one of the nation’s most influential congressmen. But now that the city's Polish population is spread out among suburbs north and west of the city, "that clout is gone," Pacyga said. That means the Polish community will have a harder time making Chicago politicians listen to their demands, since they know Polish-American voters won't be able to exact revenge at the polls, Pacyga said. "You have no power when your population is spread out like Polish Chicagoans are now," Pacyga said. 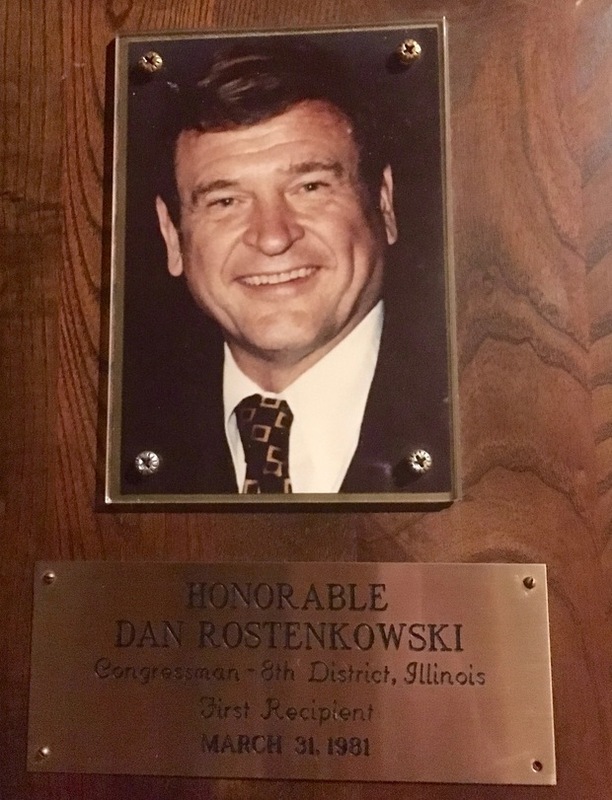 Even though Rostenkowski ultimately pleaded guilty to two charges of mail fraud stemming from an investigation of his use of the U.S. House of Representatives post office, he remains a revered figure in the Polish-American community, with his picture hanging in the lobby of the Copernicus Center in Jefferson Park, the cultural heart of the Polish-American community in Chicago. Despite the drop in the Polish population on the Far Northwest Side and the far-flung addresses of its members, Labedzki-Pierga and Pacyga said the community remains culturally tight-knit. 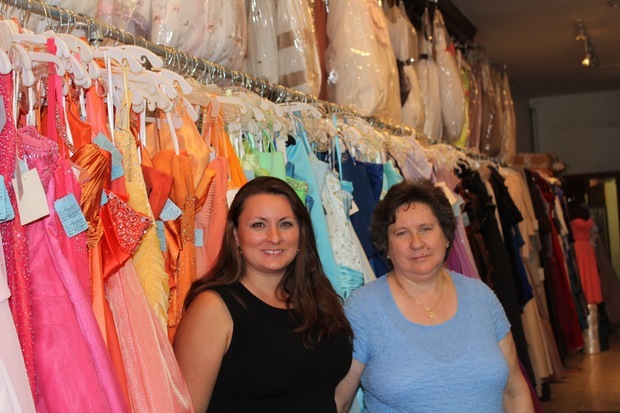 Many Polish families drive into the city every week for Mass at churches like St. Hyacinth and to shop for Polish food and delicacies at shops on Milwaukee Avenue and Irving Park Road, where Labedzki-Pierga runs Kasia's Bridal at 6039 W. Irving Park Road in the Irving Austin Business District with her mother. "The social clubs are still strong," Labedzki-Pierga said. "That keeps the ties close. It doesn't matter that we're spread out. We still need our Polish books, music and food." What Will The Eclipse Look Like In Chicago?